Welcome · Tip Mule · The fastest and only way to track your tips! The easiest and most comprehensive way to track tip earnings while provding beautiful insights. 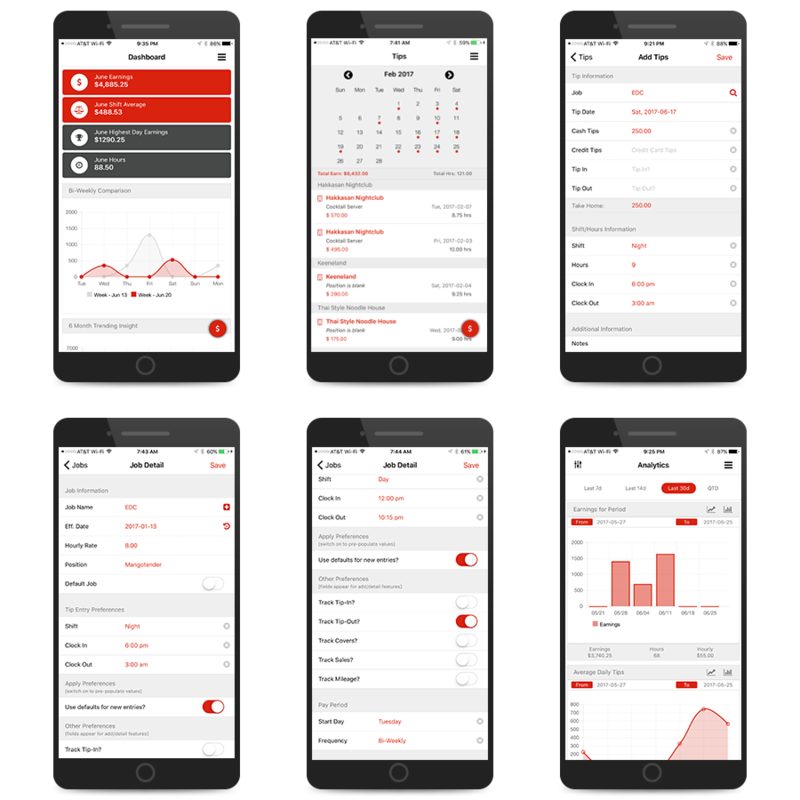 Tip Mule was designed to give users options when entering data along with flexible reporting so you can view your data in the way it makes sense to you. Plenty of features that provide you the flexibility of entering multiple items associated with your earnings or just the necessities. Whatever your need, Tip Mule provides an easy data input system with plenty of options. Track multiple jobs and pay rates. Default tip entry data (default shift, clock in & clock out times) along with the ability to set pay your period start day. Whether your work week starts on Sonday or Wednesday, we got you covered. Entering tips/earnings has never been easier. By leveraging your job defaults your new tip entries are pre-populated with the information you specified. You can now add tags to your entries (CES, MAGIC, AVN, etc.) to add to your analytics. Beautiful charts and graphs are an essential part of viewing data. The Tip Mule analytics engine delivers a superior experience by providing an in-depth visual into your data. Having these displays at your fingertips is paramount. All of these features and more add up to the best tool for the individual working in the service industry or just anybody looking to track earnings. Tip Mule uses a secure connection so you can rest easy when entering your data. Your data is safe and secure as well as backed up nightly so you can always be sure your data is available next time you login. Our user experience provides easy tip entry and data viewing. Your information has never looked so good. Since Tip Mule is cloud based you can access your information from any internet connected device. Tip Mule provides more features than any other tip tracking/earnings app in the marketplace. We listened to our customers and have implemented several requested items. Can I select the day of week my job starts? Yes, Tip Mule allows you to configure the day of week your job starts, this drives period reporting. If you have multiple jobs that start on different days, not a problem, the configuration is by job. I got a raise and need to add my new pay rate? You can easily add a new effective date on your current job along with the new pay rate. The old pay rate and preferences will be kept in history in case you ever want to look back. “Easy to use and it only takes seconds to enter the tips I made for the day. “Ever since I started using Tip Mule, I have the information I need to ensure my hours are correct. “I used to find a piece of paper and track my earnings that way, but now I use Tip Mule and its soooo much easier. “I deliver pizza and this tool just works! Thank you for creating it!! Sharing Tip Mule is Encouraged! Questions? Use the following email and we'll respond to your inquiries ASAP. © 2017 Blackrock Code, All rights reserved.